KBM Workspace is a San Jose-based office furniture dealer that has been in business for nearly 60 years. They were the can i buy Gabapentin in mexico where can i buy clomid at #1 dealer of Knoll office furniture in Northern California, and KBM also offers other services, such as design consultation, project management, and furniture installation. While they’ve had robust growth in recent years, they still didn’t feel like they were realizing the success that they desired. When I started working with KBM, there were a few challenges that they needed to overcome. First, they had some high revenue goals and they needed some help to reach those levels. Making matters more challenging, they had just brought on two new salespeople, and the company needed those new hires up-to-speed as quickly as possible. Finally, there were some span of control challenges. The CEO was very sales-minded, so he was directly supervising the sales organization’s activity. However, that effort was monopolizing his time and restricting his ability to run other areas of the company. Marketing messages. KBM does much more than just sell furniture. They transform office space to reflect the personality and energy of a company. They’re a one-stop shop for everything a company would need to furnish their entire office environment and create an experience for employees and their customers that elevates, inspires, and reflects that company’s culture. We decided that their messaging should match those services, so we implemented a “before and after” campaign on their website. We displayed pictures of client spaces before the client worked with KBM and then the finished product after KBM worked their magic. The visual contrast demonstrated how KBM can transform the energy of their space and resulted in more sales and partnerships. We also designed case studies and aligned it with the rest of their marketing messaging. The new messaging better conveyed KBM’s unique value proposition and helped to drive new leads. Sales process. In interviewing KBM’s executives and staff, we realized that one of the most effective sales activities in the business was doing a tour of the company’s showroom. During a tour, a prospect could see and feel all of the furniture pieces and imagine how those pieces may look in their own space. However, KBM wasn’t doing as many tours as they should. We empowered employees at a variety of levels – not just salespeople – to lead potential customers on showroom tours. We also created a contest to reinforce the importance of driving leads to take a tour and finally, added a virtual tour to their website to leverage how buyers buy using technology. Focusing on educating clients vs. setting sales calls generated more revenue and improved the customer’s buying experience. Sales structure. Finally, we had to address the issue of how the sales team was structured. I worked with the CEO to help him see the value in hiring a VP of Sales, which he ultimately did. That freed the CEO up to focus on other areas of the business while also giving the sales team the dedicated leadership they needed. 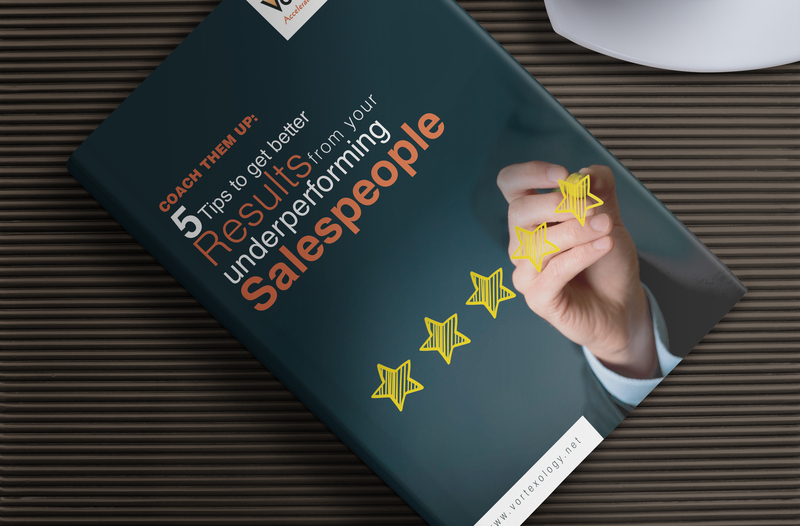 The VP of Sales helped to improve recruitment and retention and continue the initiatives we created to increase conversions and create long term relationships. Leveraged their installed base to grow revenue by creating a program to identify past customers and put a process in place to reconnect with them. Start the conversation about our sales consulting with a free, no-obligation call with Judy, 310-567-7441 or email us at jfrank@vortexology.net.